Networking is so important. Last year, as a 1L, I sat in a presentation by the career office about networking. As a business major, I knew that networking was important and how to do it. Some of my classmates seemed to not know how to networking or even why they would do it. This presentation helped explain that to those, but it did not prepare me for how important networking is in law school and the legal field. While the old saying "It's not what you know, it is who you know" may not be totally accurate, there is a bit of truth behind it. Having connections may be able to get you an interview or your foot in the door. Networking may also open up a opportunities that you never knew were possible. You may get a mentor out of networking. Start with who you know: your parents, their friends, their co-workers, your friends, their parents, etc. I can't tell you how many people from high school or college I asked if they or their parents knew any lawyers that would be willing to talk to a law student. This is especially true if they lived in the area I want to practice in or would be interning in. Next look to your law school: The career office or department at your school is likely to have a list of alums by city. If you know where you want to practice, ask the office if there are any alums in that region. 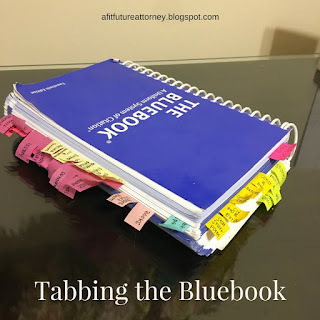 Once you have a list, pick out people to email (I tended to stick to younger alums as I thought would be more likely to help out a law student, as it was only a few years ago that they were in my position). My email said something along the lines of: "Hi. I am a law student at (X Law School), and I am looking to practice in (Y City). I received your name from the career office, and I was wondering if you would be willing to either email or set up a phone call with me about practicing in (Y City). Any advice you have would be greatly appreciated. Thank you." Most people were more than willing to talk to me, and oftentimes they would give me the name and email of someone else to contact. 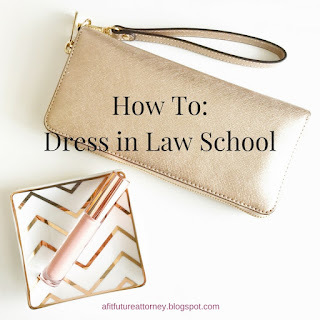 Another good place to look at your law school is organizations you are involved with. They may also have alumni lists. Next, look to past organizations: If you were involved in Greek life in undergrad, this is a great way to look for connections. My specific chapter has a Facebook page, and I posted that I am a law student and was looking for legal connections in a certain area. I had so many responses from alum who where either lawyers or knew of lawyers that I could connect with. Other organizations, such as honors or service fraternities are also good places to look for any connections. If you are going to school in the area where you want to practice, try getting involved with the local Bar Association. Many will have student memberships, and you may be invited to happy hours, luncheons, or other networking events. Take advantage of these. If you don't go to school in the area you want to practice in but you are interning in that area, do the same thing! Talk to people, try to find out about networking events and see if you can go to them. In my experience, lawyers are more than happy to extend invitations (even last minute ones) to law interns or students. NEVER ask for a job. It is extremely rude and just a whole lot of no. Ask for advice they have, tips for getting to that area, how they decided what area they wanted to practice in, other people to contact, etc. Sometimes this may lead to them asking if you are looking for a job, and then that's okay to talk about but it should never be initiated by you. Always be polite. This should go without saying. If you tell them you will call at 4:30, call at 4:30. Respect their time, as they are busier than you. Don't say no. This past summer, I got a last minute invite to a local bar association event. I was tired, it was rainy, and I didn't really want to go. But I did. I met some amazing people and even networked more with some of them. Don't be annoying. Don't email them everyday until they respond. They are busy and don't have time to get back to you right away. Maybe they don't check that email everyday. Maybe they don't have time to meet. Don't be annoying or make it awkward for them to say no. Add them as a connection on LinkedIn AFTER you meet them in person. If you don't have LinkedIn, get it and keep it up to date. I'm going to stop here, because this post is already much longer than I expected it to be. 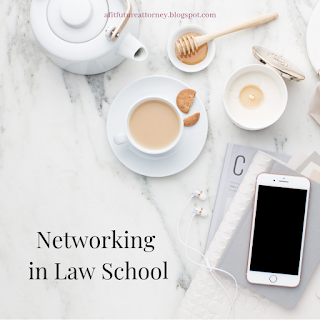 However, I do have more tips and advice on networking so there will likely be a part two to this post!! What are some of your tips for networking? Any funny stories about it? Let me know in the comments!